We have organized all of your orders chronologically, making it easy for you to view the last order first. The list contains the customer’s email address, the date of the order, the order status and the total amount. You, as the store administrator, cannot modify the details of an order. To search for a specific order, use the search bar at the top of the order list. The tool will search through any part of the order. If you remember the email address of the buyer or the ID of the transaction, enter this in the search field. 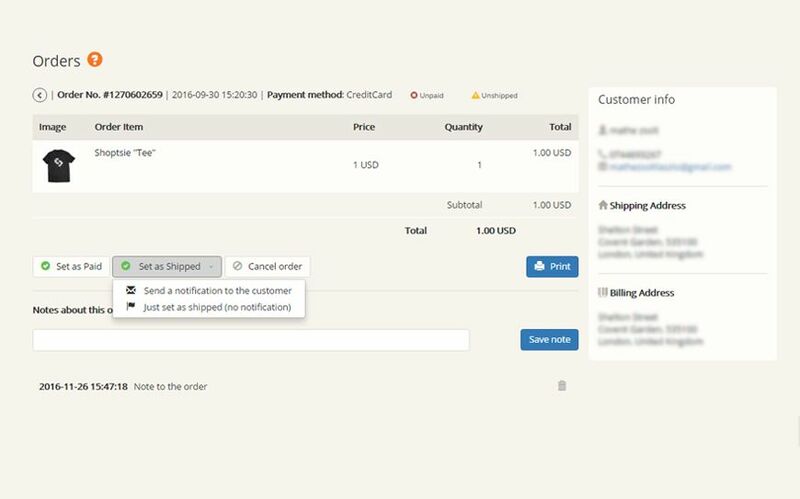 Clicking on an order will display all the details of the order, including information about the buyer, the number of the order, date of the order, a list of the ordered products with their prices and the total amount of the order. 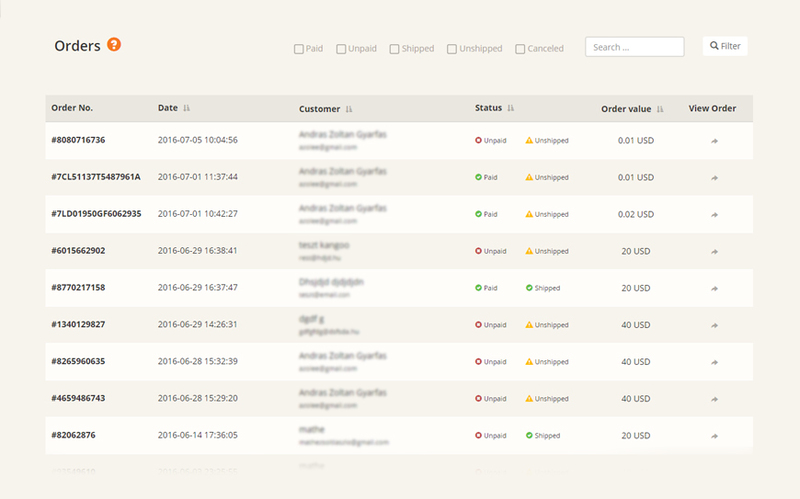 You can set the status of the order as Shipped, Paid or Cancelled and you can Print the order. In case you set the status as Shipped you can decide if you wish to send a notification to the buyer. Remember only to include appropriate language to your clients. You will be entirely responsible for the message you send. Additionally you can add comments to the viewed order.